Soapy was the most famous of felonious characters who used the Klondike Gold Rush for their own criminal purposes. His real name was Jefferson Randolf Smith. His nickname came from his early days, when he sold bars of soap for $1 on street corners. He’d tell gullible customers that some bars were wrapped in bills, from $1 to $100. He had his own men (“shills”) stationed in the crowd who would buy a bar. Of course, they found the desired bars that had the bonus prizes in them. They announced, excitedly, that they had found money in theirs. This naturally tempered any skepticism, and people bought bars of soap fervently. But, amazingly, none but Smith’s shills found money. Soapy possessed all the qualities necessary to be a successful con man, plus he had strong organizational skills. He honed his skills in Denver, Colorado during the silver rush there. He surrounded himself with a gang of scurrilous characters, crooked politicians, and police authorities. Eventually Denver became too “hot” for Soapy and he had to look for new fertile territory. He heard of the northern gold rush and the small, yet virtually lawless, town of Skagway, Alaska. Skagway was the entry port for gold rushers on their way to the gold fields of the Klondike. 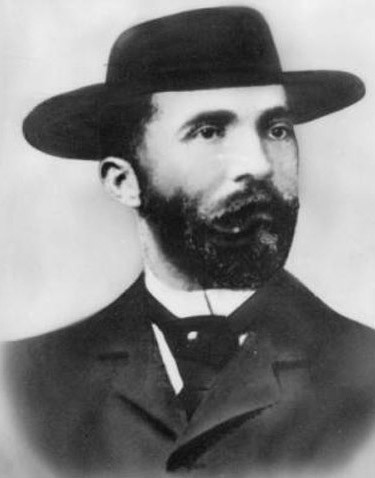 In the fall of 1897 Soapy Smith and his band of thugs arrived. 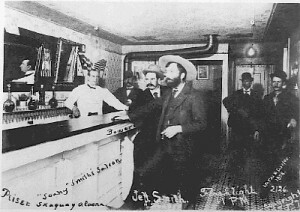 Soapy in his Skagway, Alaska bar with some of his gang members. It wasn’t long before Smith owned the town. His men would disguise themselves as town officials and helpful locals, in an effort to con and rob unsuspecting prospectors on their way to the Klondike. A miner returning homeward from Dawson had come into town with 2,800 dollars worth of hard-earned gold dust. He was convinced, by one of Soapy’s men that the best place in town to sell the gold was at Jeff Smith’s saloon. All too soon, a confused Stewart was on the street minus his gold and unable to say who stole it from him. The good people of Skagway, along with various interest groups, saw the economic damage that would befall the town if word of this theft got back to others returning from the north. The fear was that returning gold rushers would bypass Skagway for Dyea, Alaska, a small town not far from them – not good for business. A meeting was arranged to discuss what needed to be done about Soapy and his gang. It was held at a storage warehouse at the end of a long wharf. Guards were stationed at its head to prevent any of Soapy’s people from attending and disrupting the meeting (a strategy that Soapy used in the past). Soapy was incensed when he heard of the meeting. Fueled by an afternoon of drinking, he decided that it was time to act. Arming himself with a Colt 45 revolver and a 30/30 Winchester, he stormed towards the docks. Frank Reid was standing guard when Soapy and some of his men arrived. Reid told Soapy that he could not enter the meeting. Soapy started a fight with Reid. In the ensuing fight both men fired their weapons. Jefferson ‘Soapy‘ Smith died instantly. 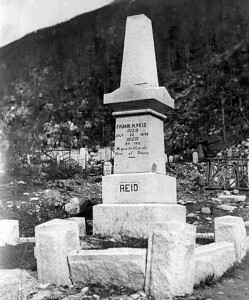 Frank Reid was shot in the groin and died in hospital twelve days later. Soapy was a complex and enigmatic person. Although he actively directed and participated in crime, he called for stronger laws. He put on parades, raised and armed a militia for the Spanish American war, took in and feed stray dogs, and started up collections for widowed families. Was all this optics, or was there another, more redeeming, side to him? Much has been written about Soapy. Opinions and stories differ – a common occurrence with history. I’m sure you will have an opinion if you decided to delve more deeply into Soapy’s life. I have included a link ( http://www.soapysmith.net/) hosted by the Smith family with their perspective. It looks further into detail about his life, scams, the gunfight, the politics of the day, his gang, photographs, etc. It’s fascinating! If interested in more balance, there are enough books on the market to satisfy the historian or the jaded.